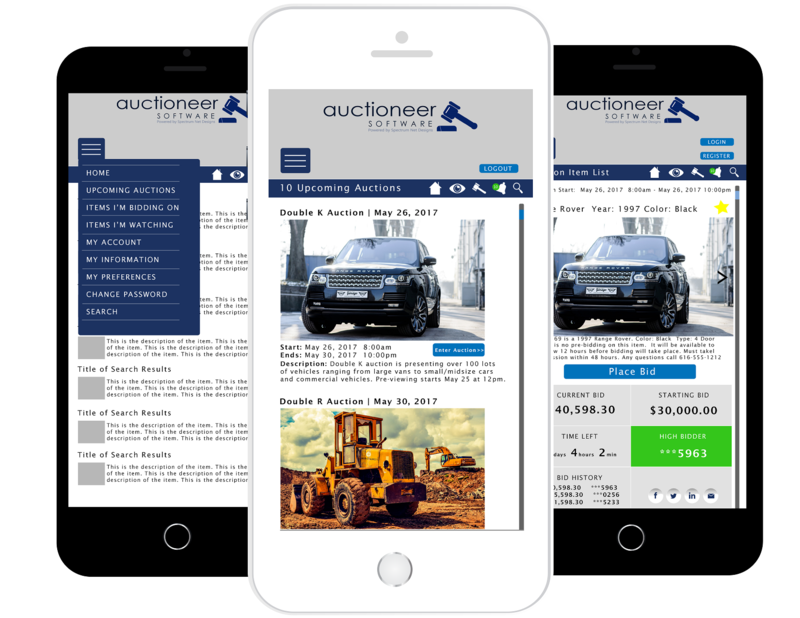 A Mobile Bidding App for Auctioneers! You have asked, we have listened! We our introducing a mobile bidding app that runs along side our custom developed online auction software. A mobile app makes it easy for your bidders to have quick, easy access to your auctions, and to bid. We want to make sure your bidders can participate in your auctions where ever they are, and whenever they want. Do you have an enhancement for a mobile bidding app for your company? Our developers are ready to begin discussion on your idea.